Our firm has marked a reliable and distinct position in the field of manufacturing and supplying a wide assortment of stylish Mens Rough Denim Jeans. Incorporated in the year 2013, we, S.S. International, are driven by the objective to achieve the zenith of success in the garment industry. 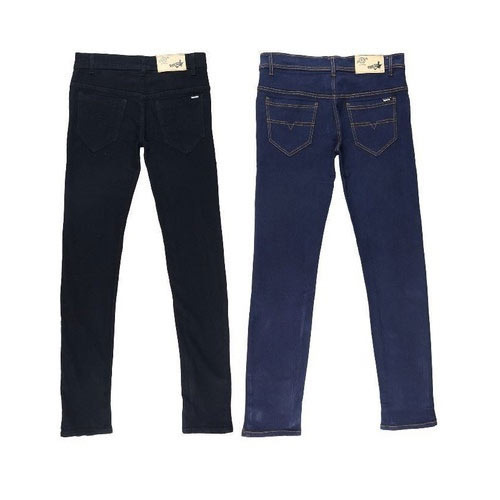 We have been working as a prominent Manufacturer and Wholesaler of Ladies Jeans and Mens Jeans. Keeping the prevailing market trends in mind, we have been designing and developing our entire collection from the finest quality denim fabric. We have been able to make a mark in a very short period of time due to our expertise in offering uniquely designed jeans. We are dedicated towards satisfying our valuable clients as per their diversified demands. Our entire range of products are designed and tailored at our modern manufacturing unit by our recruited team of designers and tailors. They apply their skills and experience to manufacture a wide collection of ladies and men bottom wear, which is sternly examined by our in-house quality experts before they are delivered at the clients’ end.